Authentic Russian food is difficult to find in Singapore, as not many Singaporeans are comfortable eating Russian cuisine. So for those hungry for authentic Russian food, Cafe Lyubi Menya is the oasis! But how authentic is the Russian food at Cafe Lyubi Menya? Well, the Indian (!) owner apparently travelled to Russia to hire a chef... So at Cafe Lyubi Menya, you get a Russian chef, preparing some of Russia's most well-known dishes. However, most of the dishes have slight variations on the traditional Russian recipes, partly due to the high cost and difficulty of sourcing certain ingredients. Apparently though, Russians living in Singapore don't seem to mind, as I've always seen a few Russians dining here. So at Cafe Lyubi Menya, you'll get near authentic Russian food. 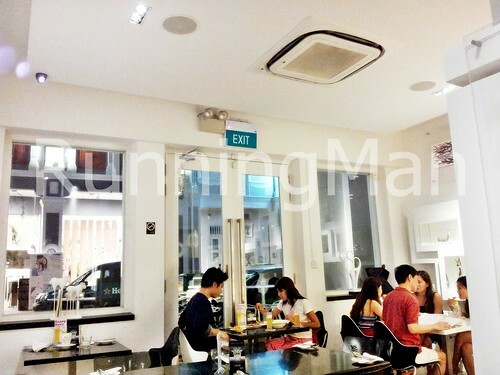 But you'll also get pretty good Italian dishes, and modern Singaporean style Western food (The other chef is Italian). In general, the food is quite good, although each order is prepared fresh, so expect to wait about 10 minutes or so. Portions are quite large and filling, but I feel that prices were a little steep... An average meal at Cafe Lyubi Menya could cost between $12 and $30 per person. 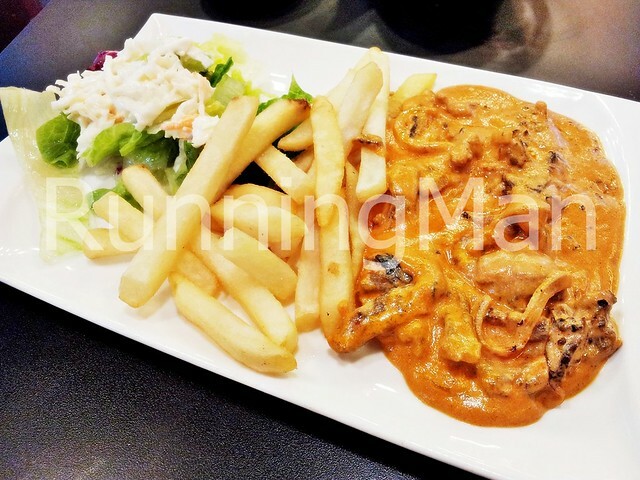 Recommended for weekly outings and special occasions but not regular everyday dining. Also, note that some items on the menu are available only on selected days / times. Ambience at Cafe Lyubi Menya is modern, similar to an American diner. It's also quite cozy, as Cafe Lyubi Menya is quite small in terms of floor space, although they do make good use of the outdoor area in front of the restaurant. 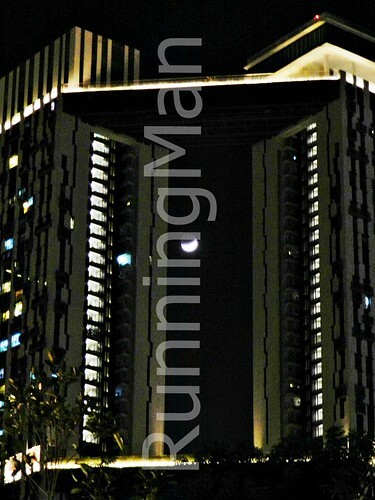 Great for chilling and relaxing, as the walkway is relatively crowd-free. 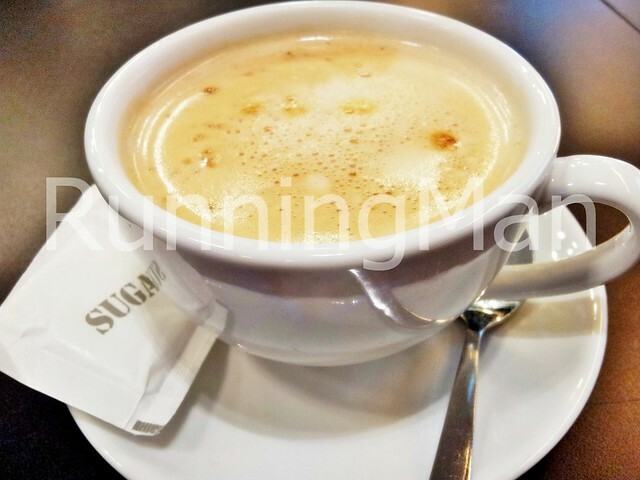 Being a small restaurant, service at Cafe Lyubi Menya is very friendly and personal. The chef and staff make an effort to ask for feedback, which I think is great public relations, especially for a small restaurant. They're trying to leverage on word-of-mouth advertising, which is a good thing, as Cafe Lyubi Menya is quite poorly located. 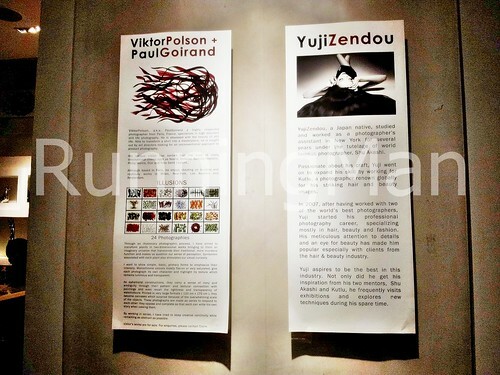 Signage is barely visable from the road, and not eye-catching or attractive. And crowds from nearby Sim Lim Square or Rochor are unlikely to pass by. Cafe Lyubi Menya could be considered a hidden find as a result of its poor location. I think that with better marketing, business at Cafe Lyubi Menya could be a lot better. Personally, I love the food and service, and I'll definitely visit again! Traditional Borsch Soup is made with beetroot, but the version at Cafe Lyubi Menya is made with tomato instead. Hearty and fortifying, the Borsch Soup is only available on Wednesday and Friday. Another traditional Russian dish, the Beef Stroganoff is tender, and the house sauce extremely tasty. I highly recommend this! 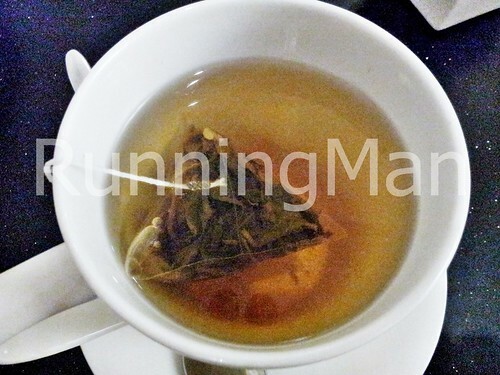 I've no idea why this is called Russian Tea, but it's fragrant and has fruity notes. The aroma is just lovely. Best for sharing, as it's quite a large pot. Veering away from the traditional Russian Solyanka Soup, this version is slightly thinner, and has less cabbage. Still good though, and the sourish taste from the olives and lemon set it apart from the more savoury Borsch Soup. 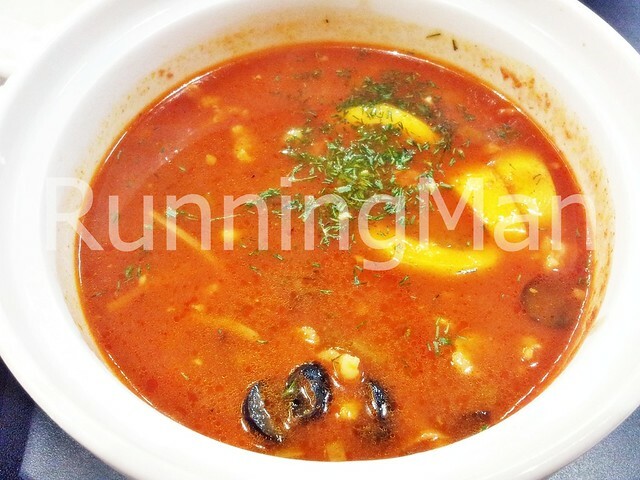 This warm and sour soup is great on cold or rainy days. 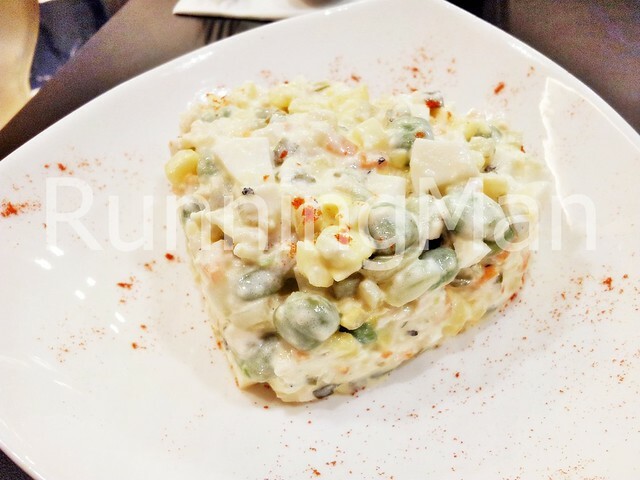 A mix of chicken, eggs, cucumbers, peas, potatoes and mayonnaise sauce, the Oleaviea Salad is presented quite uniquely, packed as a cube. Tasty, but a little heavy due to the mayonnaise sauce. 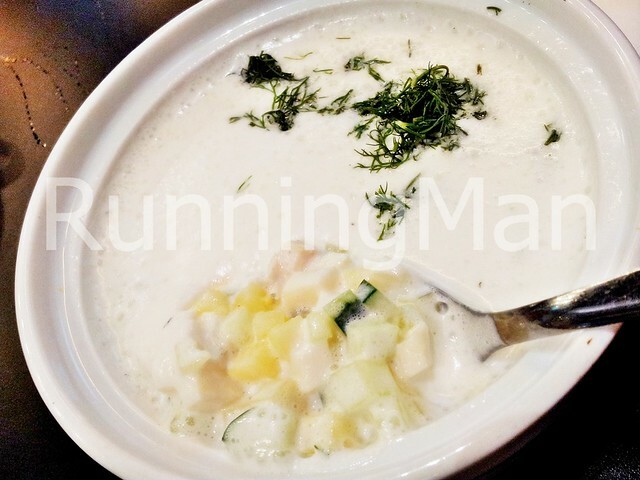 Okroshka Soup is a traditional cold and sour yoghurt based soup, which I think may not suit most Singaporean palates. Still, it's good on a warm day. 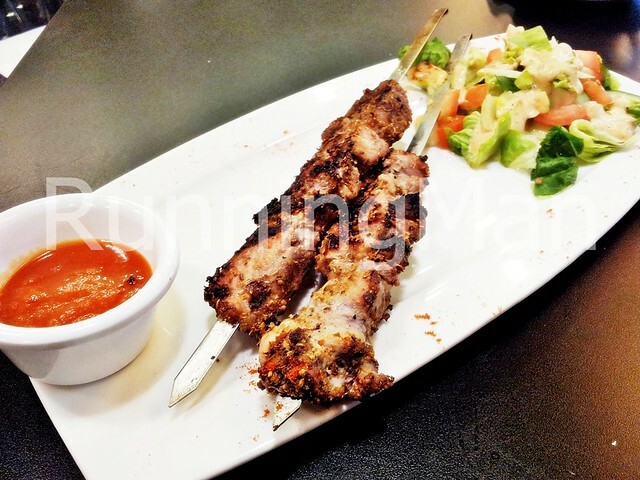 The Lamb Shashlik was nicely spiced, and evenly cooked, although it was a little dry. An overall average Latte, not terrible but not great either. Talent Cafe Singapore styles itself as a watering hole for the arts, where arts professionals can meet and network. 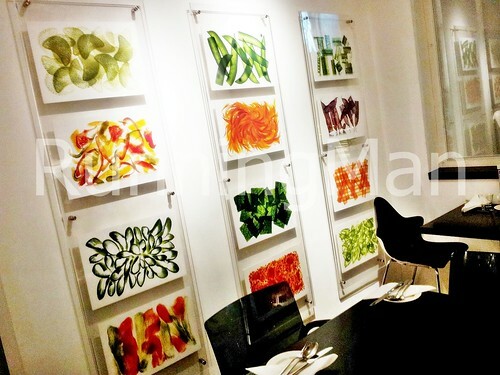 As an arts space, the ambience at Talent Cafe Singapore is suitably modern. 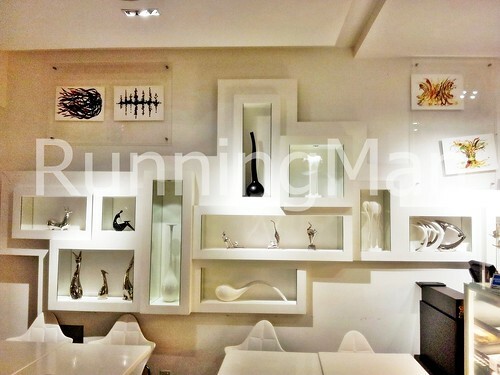 Photographs, sculptures and paintings hang side by side (most of which are for sale), and it does feel like you're dining in an art gallery. Beautiful, relaxing and calming. Service can be somewhat inconsistent though. 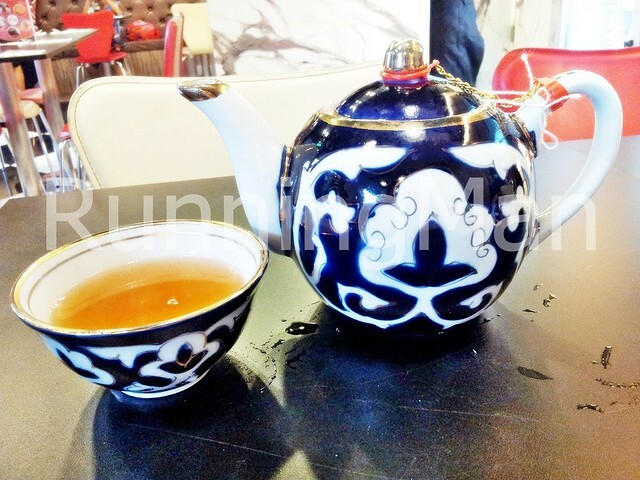 While friendly, staff seemed to be constantly busy around the cafe, and attracting their attention might take awhile. 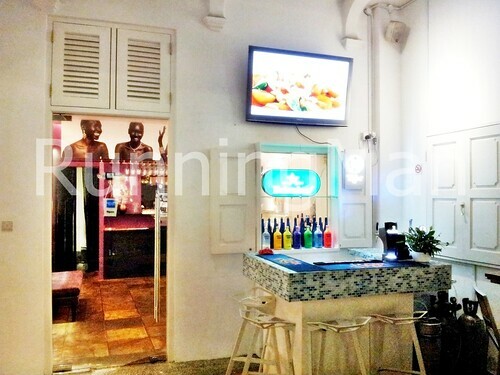 The layout of Talent Cafe Singapore is partially to blame, with the counter partially obscured behind a pillar. Food is somewhat hit-and-miss. The salads and desserts were very good, especially the Tomato Basil Watermelon Salad. 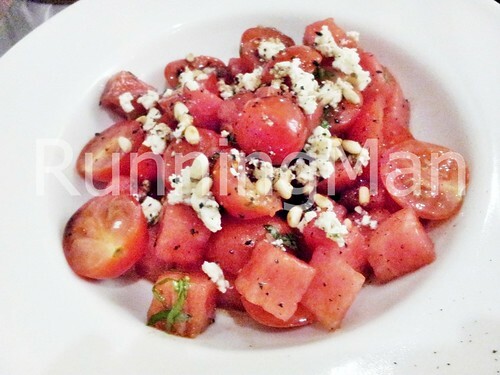 Topped with little bits of cheese, it gave a savoury touch to the refreshing cherry tomato and watermelon salad. 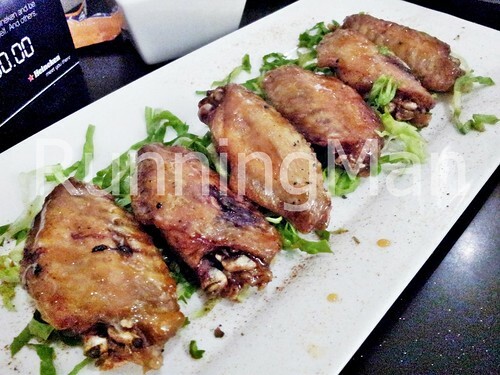 The Honey Glazed Chicken Wings however, were a little undercooked, and the taste didn't appeal to me. 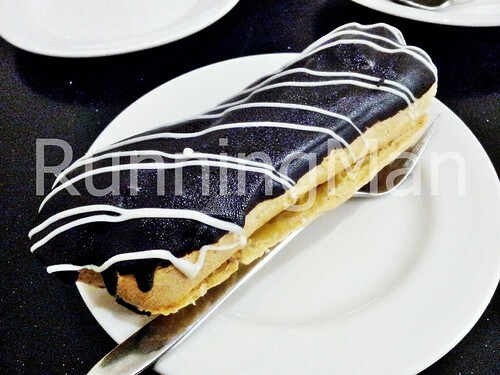 When I visited Talent Cafe Singapore, the majority of desserts on the menu were unavailable. 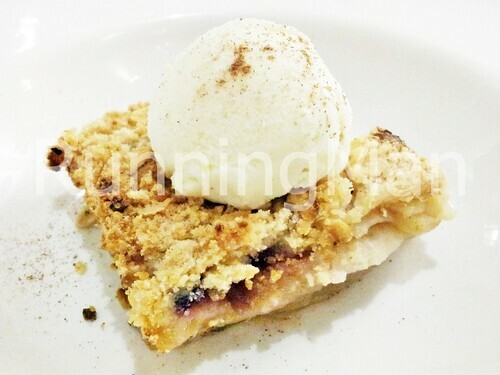 But the Apple Crumble With Vanilla Ice Cream was good, if a little too sweet. Puri is a type of unleavened Indian bread, from Tamil Nadu, South India. Puri is commonly eaten during breakfast. Puri is made from a dough that has atta whole wheat flour / maida refined wheat flour / sooji coarse wheat flour, water, salt and vegetable oil / clarified butter (Ghee). The Puri dough is then deep fried in vegetable oil / clarified butter (Ghee), until it puffs up like a round ball. 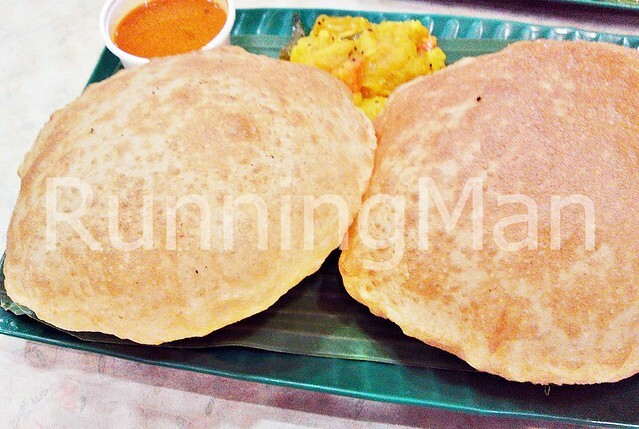 Puri is often served together with yoghurt, chutneys or pickles. 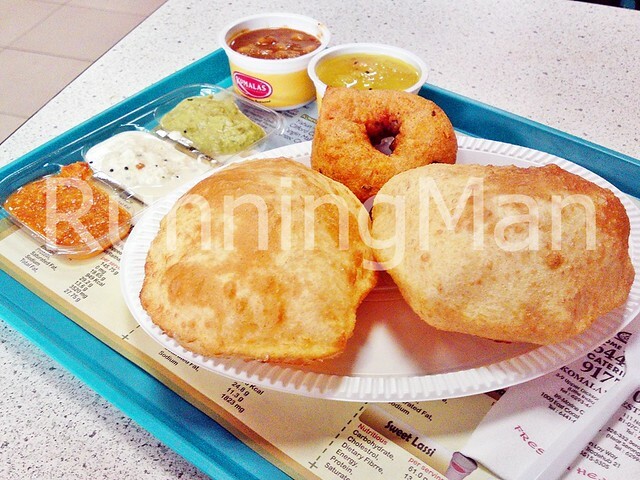 Sometimes, Puri can also be served as a light snack. I think eating Puri is quite fun. You can poke the fried dough, and watch the steam and aroma within slowly waft out! 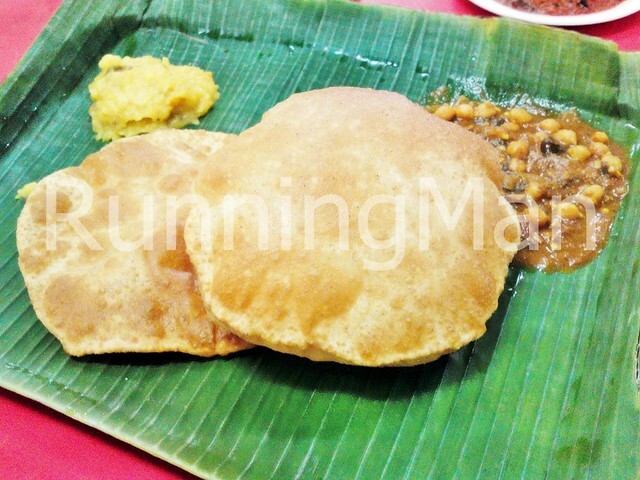 These are the top 3 stalls which I feel serve the best Puri in Singapore. Tandoori Roti is a type of unleavened Indian flat bread, from Punjab, North India. Tandoori Roti is made from dough that has atta whole wheat flour, maida refined wheat flour, water, sugar, salt, baking powder and yoghurt. 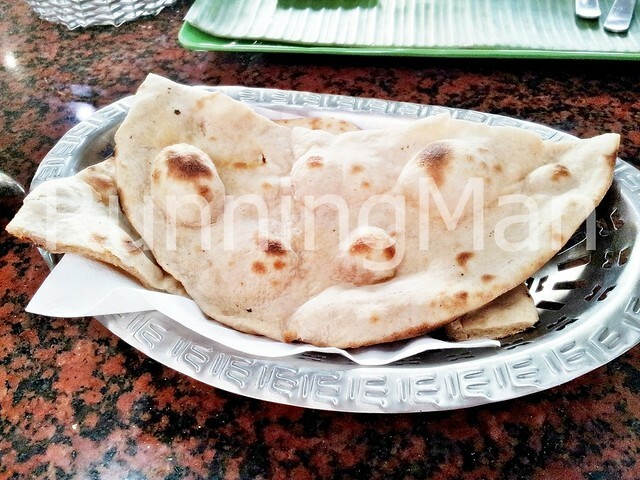 Tandoori Roti is typically baked in a tandoor oven, hence the name, although it can also be baked in a regular oven. 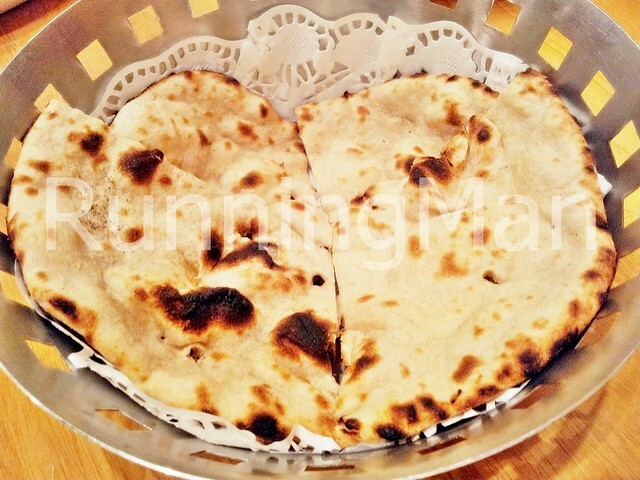 While baking, the Tandoori Roti is periodically brushed with clarified butter (Ghee). 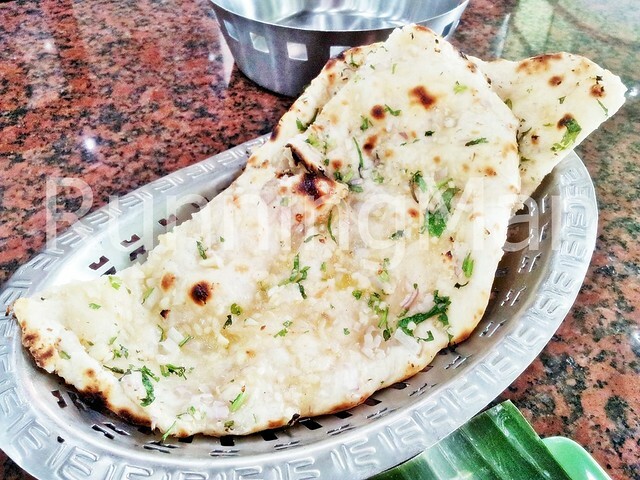 A Tandoori Roti never has any stuffings or toppings, and is always plain. 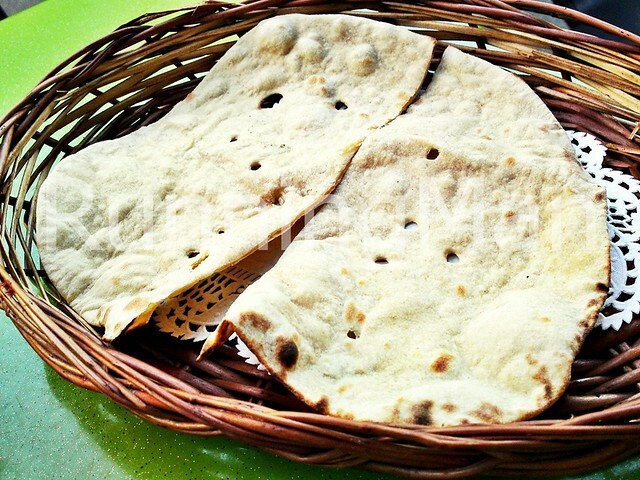 It is the most basic of Indian breads. Tandoori Roti is normally served together with a curry. 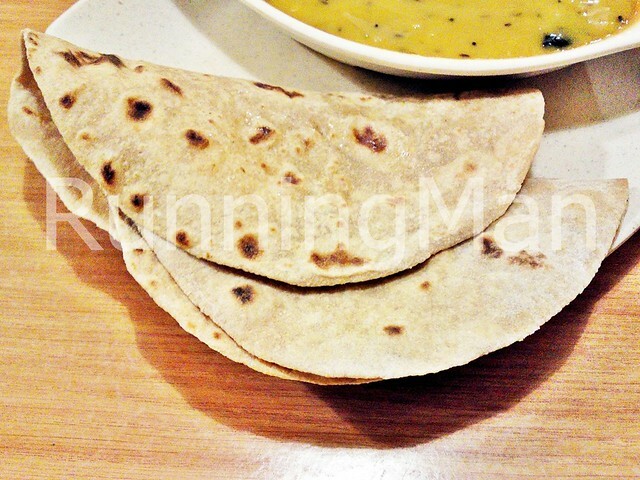 Eating a warm Tandoori Roti, with Dhal is a simple satisfaction. 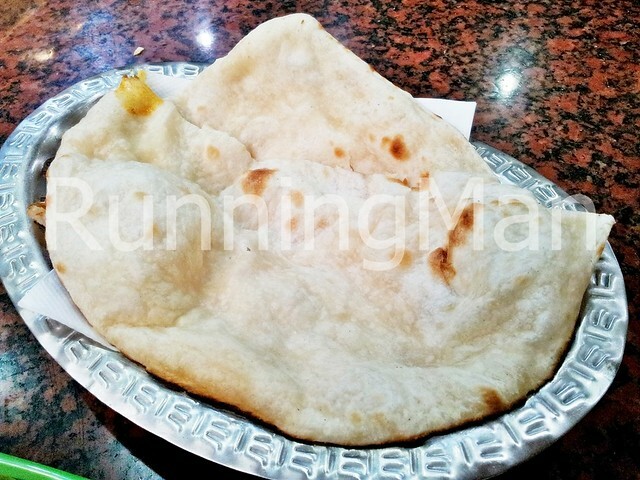 These are the top 3 stalls which I feel serve the best Tandoori Roti in Singapore. 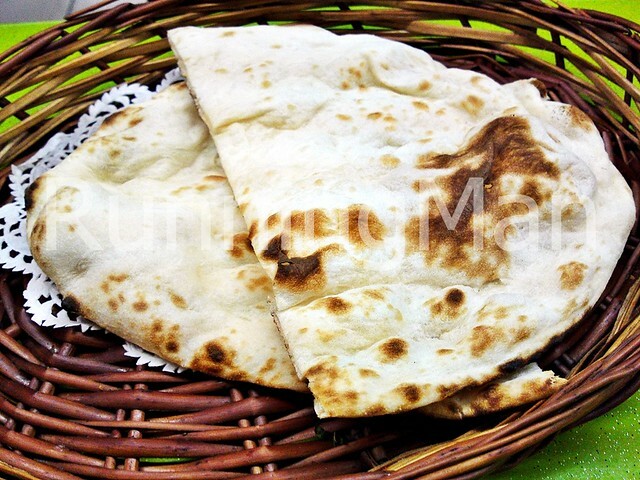 Naan is a type of leavened, thick Indian flat bread, from Persia / Iran, that has become popular in North India. 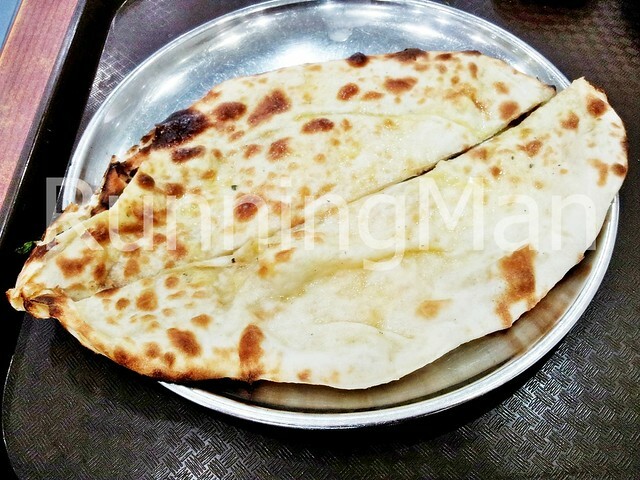 Naan is made from a dough that has plain white flour / bread flour, water, yeast, sugar, salt, baking soda and plain yoghurt. The Naan dough is then baked, usually in a tandoor oven, and brushed with clarified butter (Ghee). 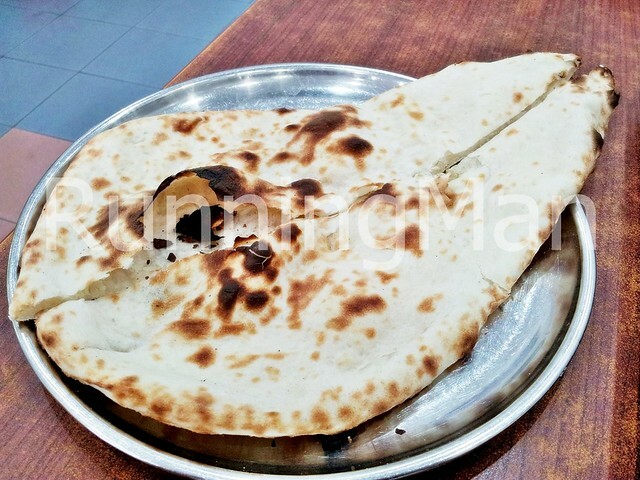 Naan is usually shaped into an elongated wedge / triangular shape. Aside from being served plain (Plain Naan), Naan can be topped and baked with a variety of ingredients. 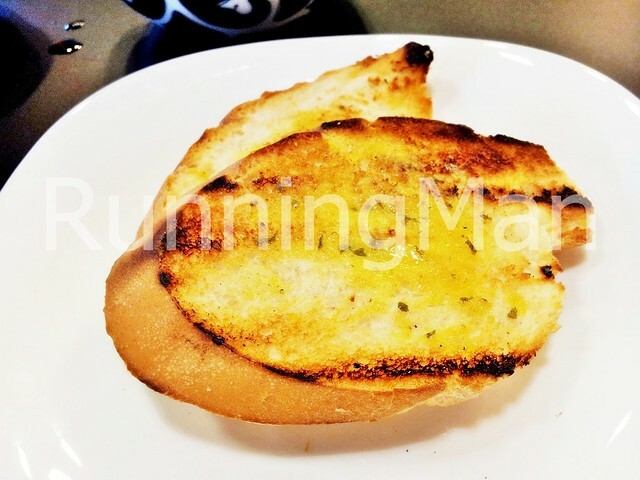 In Singapore, typical toppings include cheese (Cheese Naan), garlic (Garlic Naan), butter (Butter Naan) or kasmiri (Kasmiri Naan), which is a Naan topped with nuts and dried fruit or raisins. 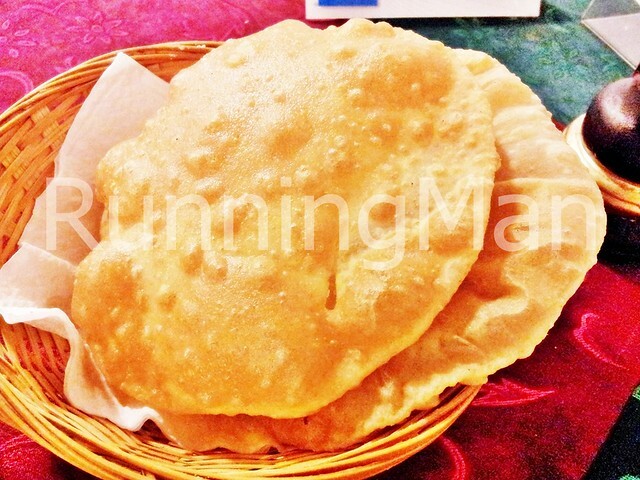 Naan is normally served to accompany a curry, and eaten as a staple during a meal. 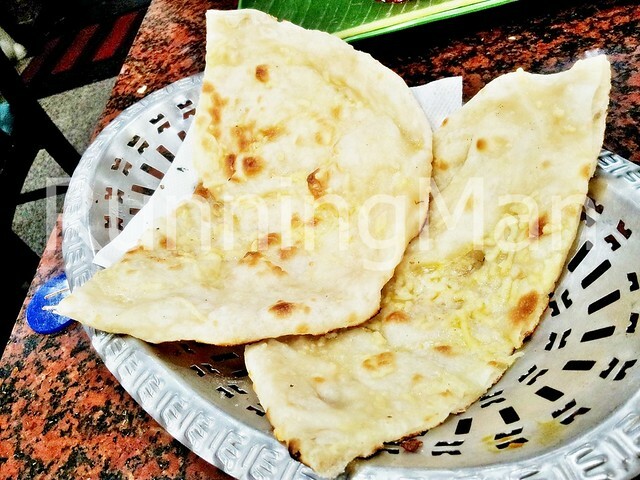 Naan is one of the most well-known North Indian flat breads in Singapore. 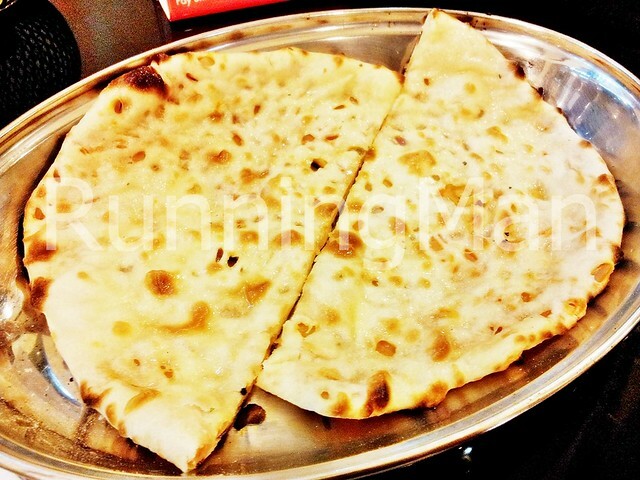 These are the top 3 stalls which I feel serve the best Naan in Singapore. 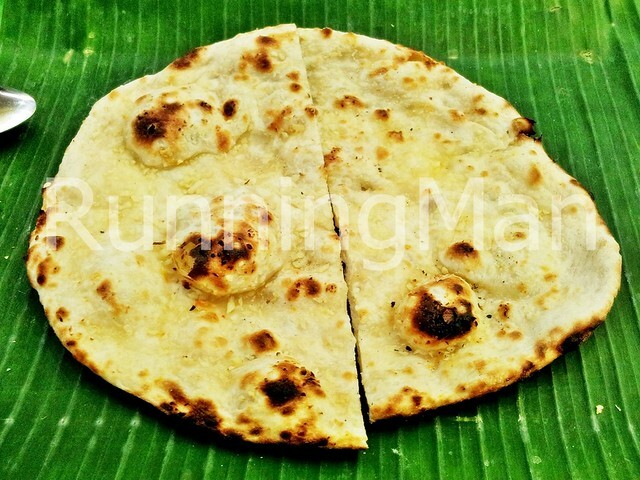 Kulcha is a type of leavened flat bread, from Punjab, North India. 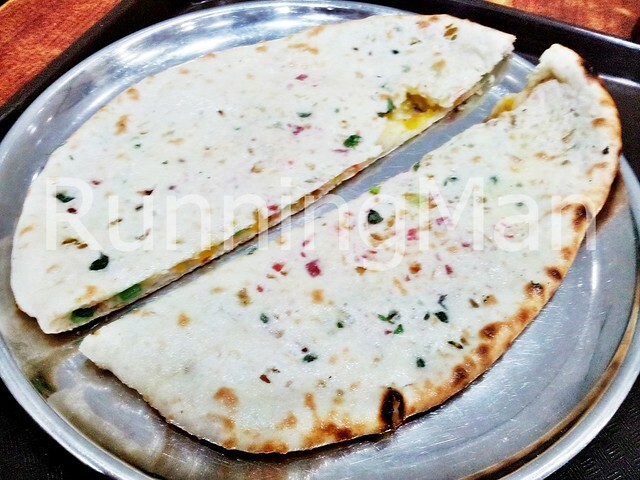 Kulcha is made from dough that has maida refined wheat flour / all purpose flour, yeast, sugar, water, salt, baking soda and plain yoghurt. 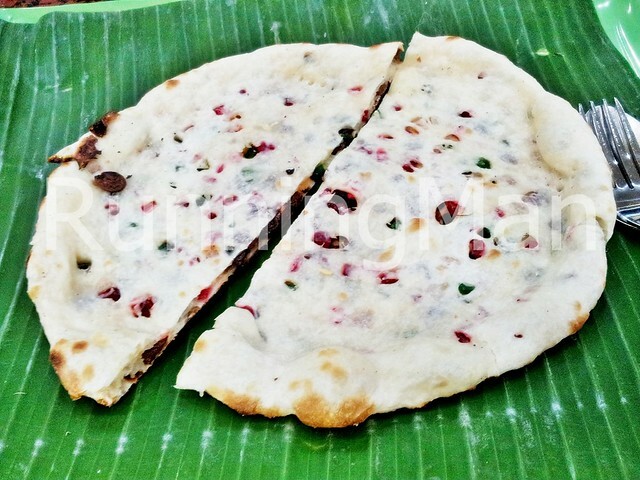 Kulcha can be stuffed with a vairety of ingredients, and one of the most common versions in Singapore is Kulcha Garlic & Onion. 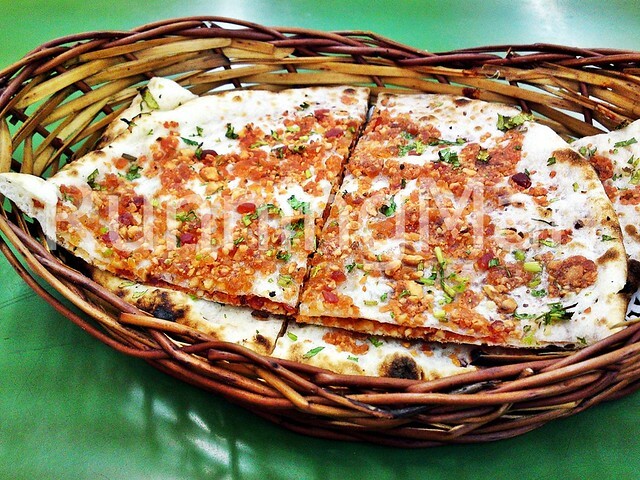 The stuffing for Kulcha Garlic & Onion is made with onions, garlic, salt, chili and coriander. 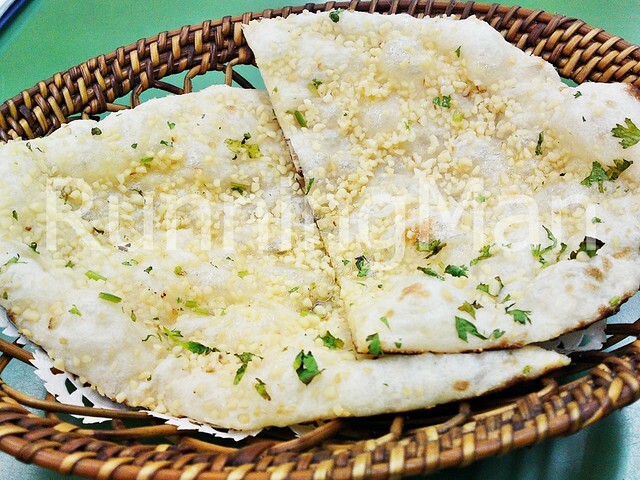 Finally, Kulcha Garlic & Onion is baked and rubbed with clarified butter (Ghee). 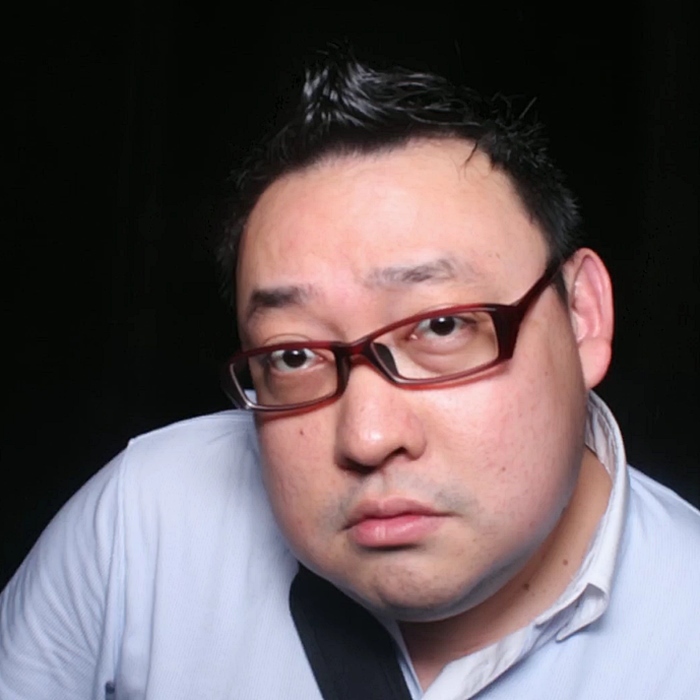 It is often circular / round in shape. 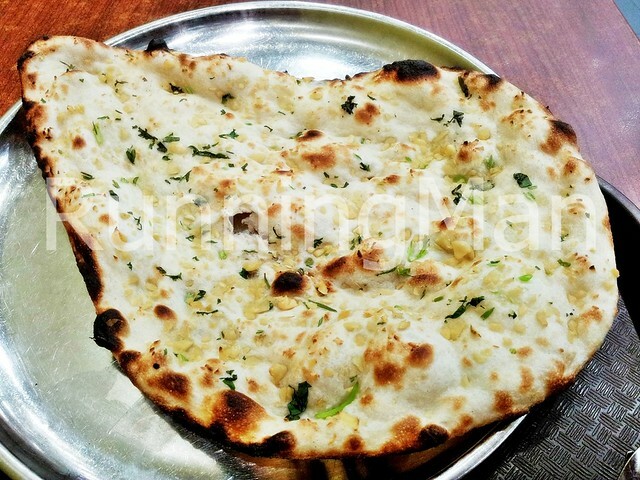 Kulcha Garlic & Onion is normally served with a curry. 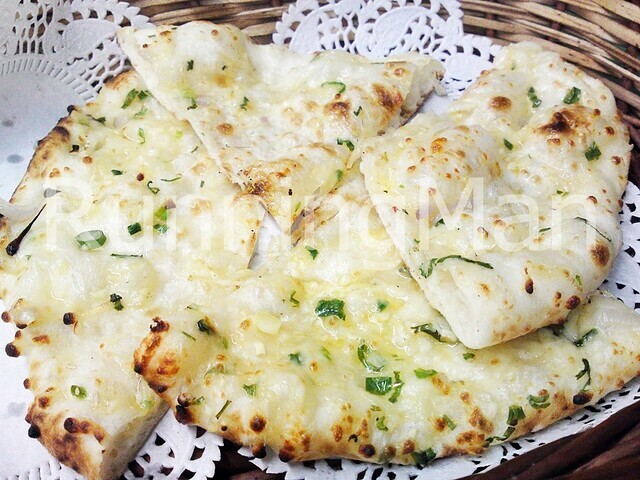 Kulcha Garlic & Onion is one of many variations on Kulcha. 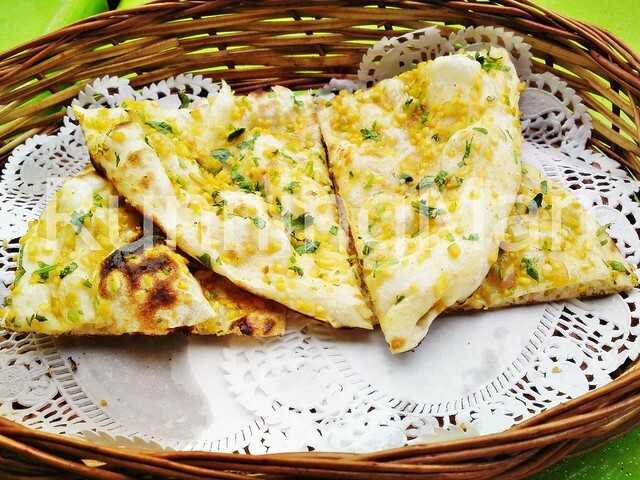 These are the top 3 stalls which I feel serve the best Kulcha Garlic & Onion in Singapore. 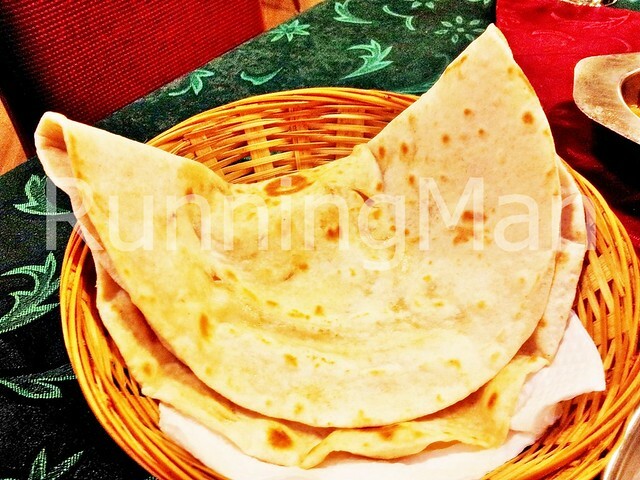 Chapati is a type of unleavened flat bread, popular among South Asia, especially South India. 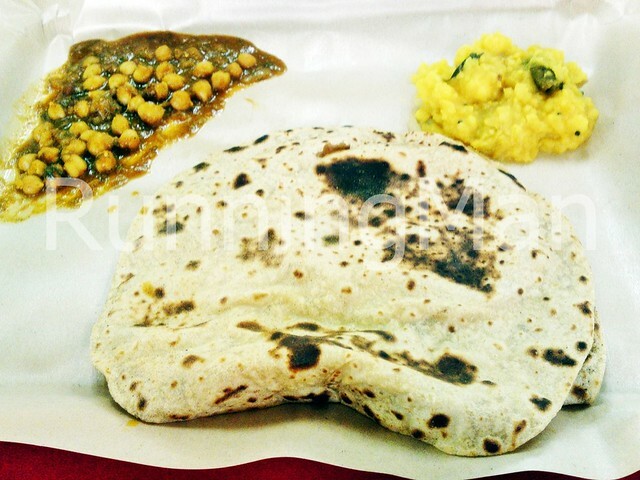 Chapati is commonly served with curry. Chapati is made from atta whole wheat flour / maida refined wheat flour, water, salt and vegetable oil / sunflower oil / canola oil. The Chapati is then cooked on a skillet / pan, and brushed with clarified butter (Ghee). When eating, pieces of Chapati are used to scoop up food. I personally feel that Chapati goes best with a lentil curry (Dhal). 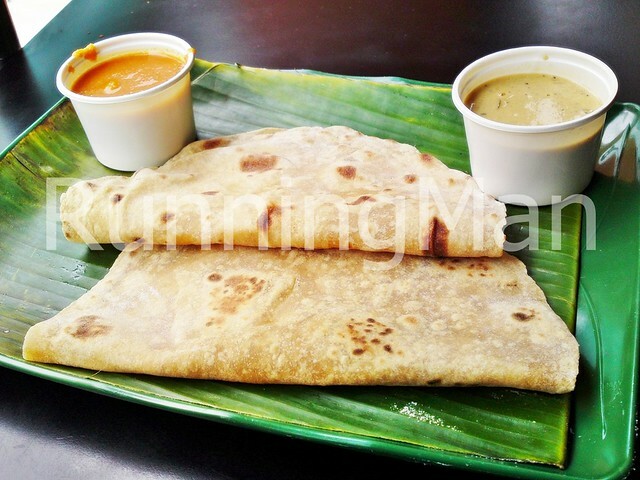 These are the top 3 stalls which I feel serve the best Chapati in Singapore. 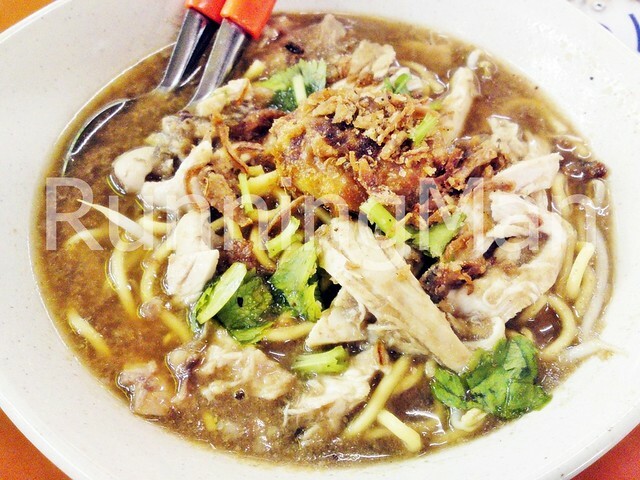 Mee Soto & Soto Ayam essentially refers to the same Malay dish, which is a chicken soup spiced with powdered turmeric or powdered coriander. If yellow egg noodles are added, then the dish is called Mee Soto. However, if boiled compressed rice cakes (Ketupat) are added, then the dish is called Soto Ayam. The spice mix that goes into Mee Soto & Soto Ayam is made with garlic, ginger, onions, lemon grass, cloves, cardamom, star anise, salt, pepper and powdered turmeric / powdered coriander. Meanwhile, a soup broth is created using chicken bones, chicken stock, water and chicken meat. The broth is then filtered, and the spice mix added to get the final Mee Soto & Soto Ayam soup. Mee Soto & Soto Ayam is garnished with shredded chicken meat, cilantro, bean sprouts, spring onions, fried shallots and chili. Some hawkers also include a hard boiled egg, dark soy sauce, vinegar or fried potato patty (Begedil). 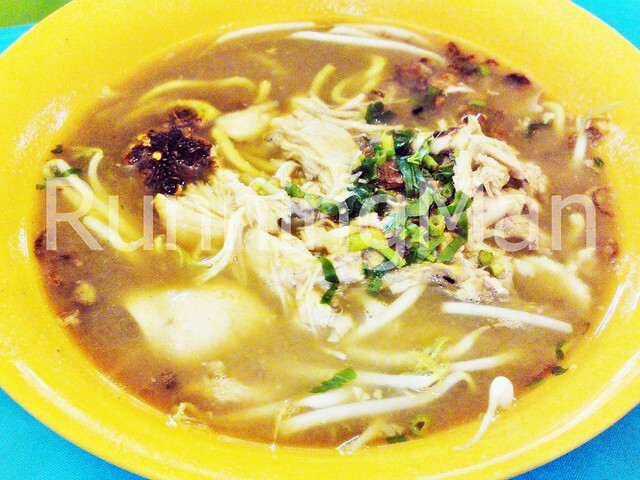 Mee Soto & Soto Ayam should have a light, clear soup, that is flavourful. It shouldn't be overly salty. 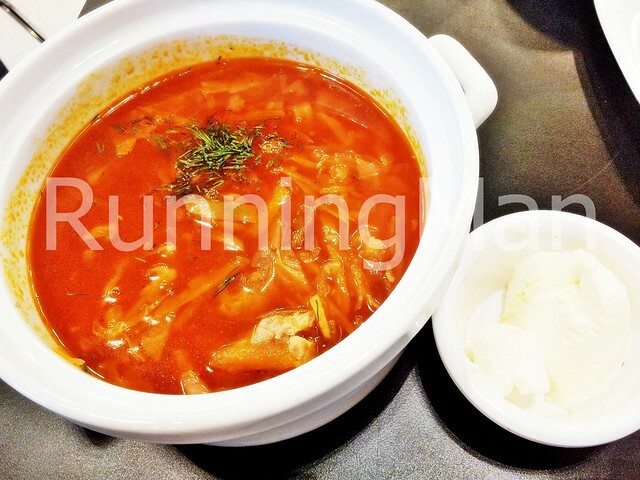 The chicken should be tender, with the bean sprouts lending a crunchy texture to the dish. 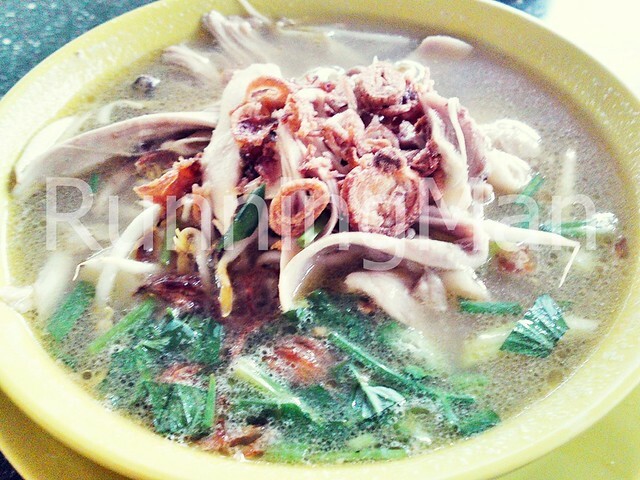 Mee Soto & Soto Ayam may be eaten as a light meal, or for breakfast. 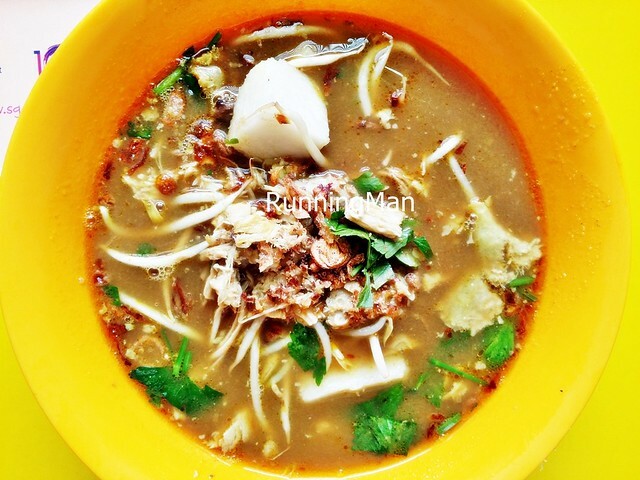 These are the top 3 stalls which I feel serve the best Mee Soto & Soto Ayam in Singapore.